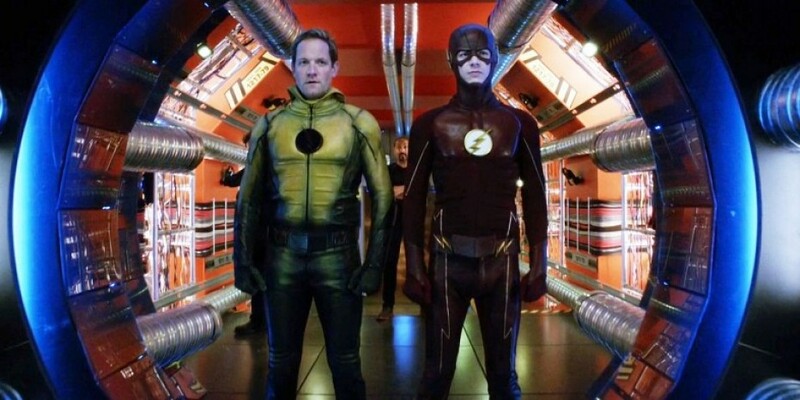 In the last episode we saw a real twist with the return of the Reverse Flash (RF), whoah why is he back an how? Well in this episode Wells (excuse of use of two ‘Well’s’ in one sentence…) tries to explain how, strangely enough he tries to explain it like he is the expert of time travel. Also in my last review for episode 10 I was asking as to how Patty hasn’t clocked who the Flash is. Strangely enough in this episode she does but its not to the liking of the other characters. Poor patty its like they let everyone else in one the secret except her, even though she and The Flash are dating. If the reason is he wants to protect her then he has already failed as she was kidnapped in the last episode and also why has he told Iris? So the team discovers RF is back as Cisco vibes him when Wells triggers it by touching him wearing the Reverse Flash yellow suit. Wells having devised a new gadget just for Cisco gets him to try it on and Cisco is impressed. Its like Cerebro used by Professor Xavier in X-Men. It amplifies his vibe powers so he sees RF without touching him of something of his. The Flash is sent to stop him and save the scientist who has created a contraption using Tachyon to help RF get back to his time. The Flash saves the lady and also after a long chase and fight subdues and captures RF. Maybe this is a younger RF and so his powers are not as developed as the last RF we saw in season 1. Also he may not be as pumped up or angered to be driven to kill The Flash, whereas Barry has taken on RF before and more prepared to take him on. They lock him up in the particle accelerator chambers, here he seems strangely relaxed. Unfortunately they have to let RF out to save Cisco who starts to fade away due to RF being imprisoned thus changing the Timeline as he was meant to travel back to the future. The whole thing does not really make sense and heres why. So now with Reverse Flash being sent back to the future, it then leads us to the questions as to why then does The Flash not use this method to travel through time again and kill Reverse Flash at some other time. But it seems like they now think that doing so messes up the timeline and other people like Cisco might get hurt. 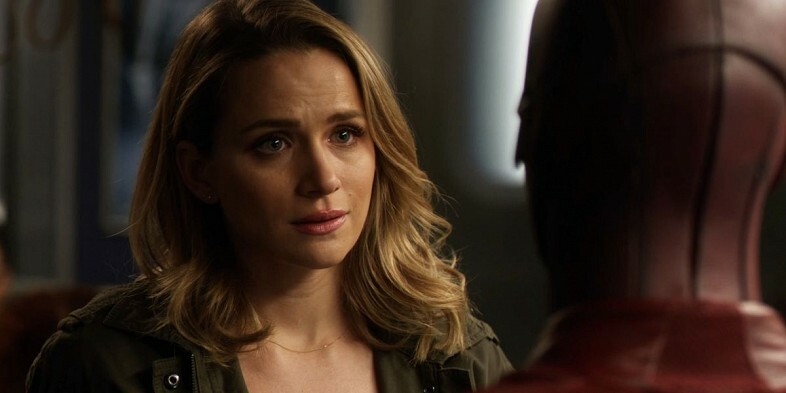 But the thing is with RF going back to kill Barrys mother the timeline has already been changed….so earlier in the season when Flash decided not to save his mother when back in time it means he failed to correct a modification to the timeline. They said not to, but in fact he should have because RF travelled back in time to kill her, thus in the original unaltered timeline Barry and his mother lived and his father didn’t go to prison! The Flash cares more for Cisco than his own mother. You would think that Barry’s mother would be the most important person to him and he would do anything to save her and in fact that is what he should have done! As said above this is the episode that Patty thinks she finds out that Barry Allen is The Flash. About time…but when confronted Barry denies it and tells her she is wrong. Patty decides to leave Central City as a result. Well then this could be the end of the character and Barry’s love interest. Time for Iris to fill the gap again?